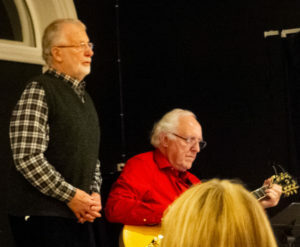 January 19th 2019 – concert by Christopher & David Murray – 7.30 p.m. Sunderland Minster..
March 1st 2019 – Social Singing Evening to be organised by Tenors – an evening of popular songs in The Peacock pub with word sheets provided and guitar accompaniment – details later. 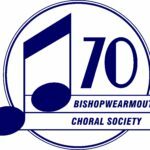 May 11th 2019 – Coastal walk followed by Fish & Chips in Whitburn Parish Hall organised by Basses. To start at 5.30 p.m. from Whitburn Parish Hall, price £10.00 – you don’t have to do all, or any of the walk, to join in the fish & chips and enjoy the company. June 7th 2019 – Quiz Night, to be organised by the Sopranos, in Whitburn Parish Hall, starting at 7.00 p.m. Details to follow. July 7th 2019 – Tanfield Railway trip organised by Altos. 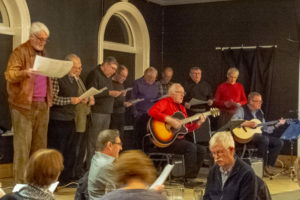 As their contribution to our 70th Anniversary season, the Tenors organised a musically themed social evening in The Peacock in Sunderland on Friday 1st March 2019. 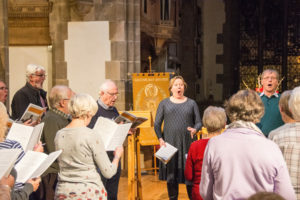 In a comfortable setting the expectant audience of choir members, family, and friends were treated to a show that they knew had been prepared with considerable effort. Whilst the Tenors were well rehearsed, the audience were perhaps less so but enjoyed joining in a wide range of songs that were a different part of our musical heritage from ‘Peggy Sue’, through a ‘Hard Day’s Night’ and ‘Ticket to Ride’ until they left singing ‘Always Look on the Bright Side of Life’. The group singing was interspersed by some fine solo items from individual tenors and they even provided their own accompaniment from the accomplished guitarists amongst them. Overall a very good night – our particular thanks to the organisers – and a much appreciated addition to the history of the Society. Our rehearsal on Wednesday the 6th of March 2019, Ash Wednesday, will be held at Ewesley Road Methodist Church, Chester Road, Sunderland, SR4 7RJ, starting at 7.30 p.m. 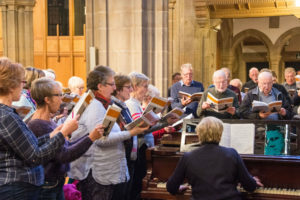 Unfortunately the church has just found out that it will be hosting a Circuit service on that night starting at 6.30 p.m. and so members are asked not to attempt to enter the church until 7.20 p.m. to avoid any overlap. Rehearsals will start again in the New Year on Wednesday 9th January 2019. Please could you try and be there a little earlier so that scores for Creation can be sorted out to allow a prompt start at 7.30 p.m. 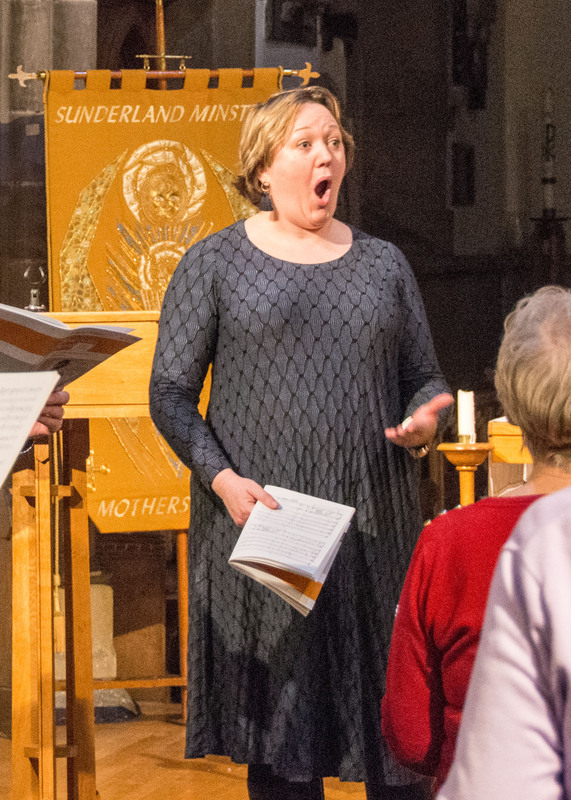 Attached to this post is a pdf file of the three-fold publicity material for our Singing Day on Saturday February 9th 2019. Once you have downloaded the pdf file it is best printed out by setting it to be printed on both sides and then ‘flip on short edge’ – to get everything the right way up. 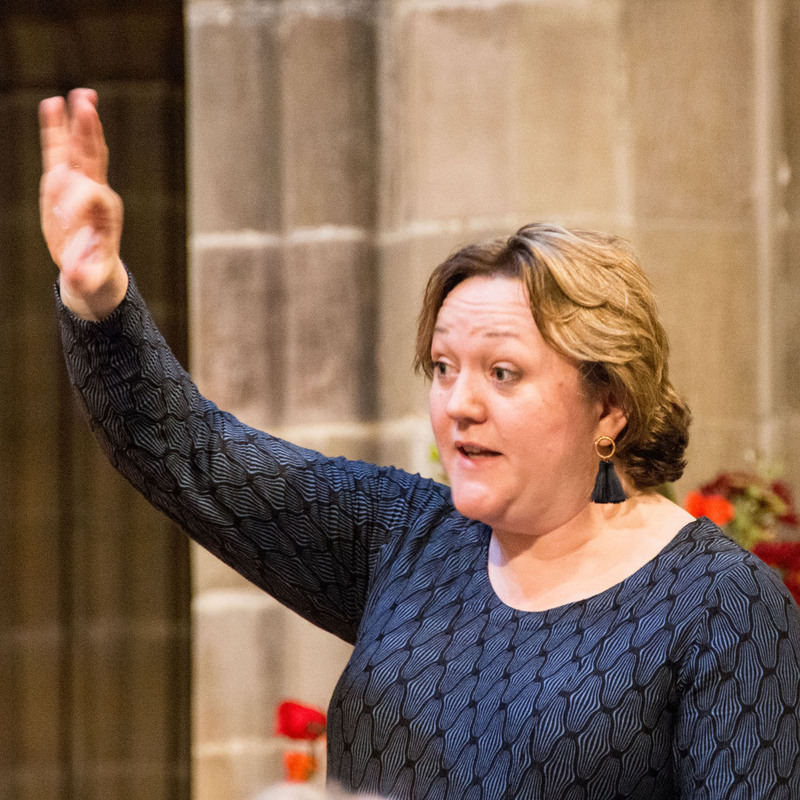 This year’s AGM will take place on Wednesday 5th September 2018, starting at 7.30 p.m. in Sunderland Minster. 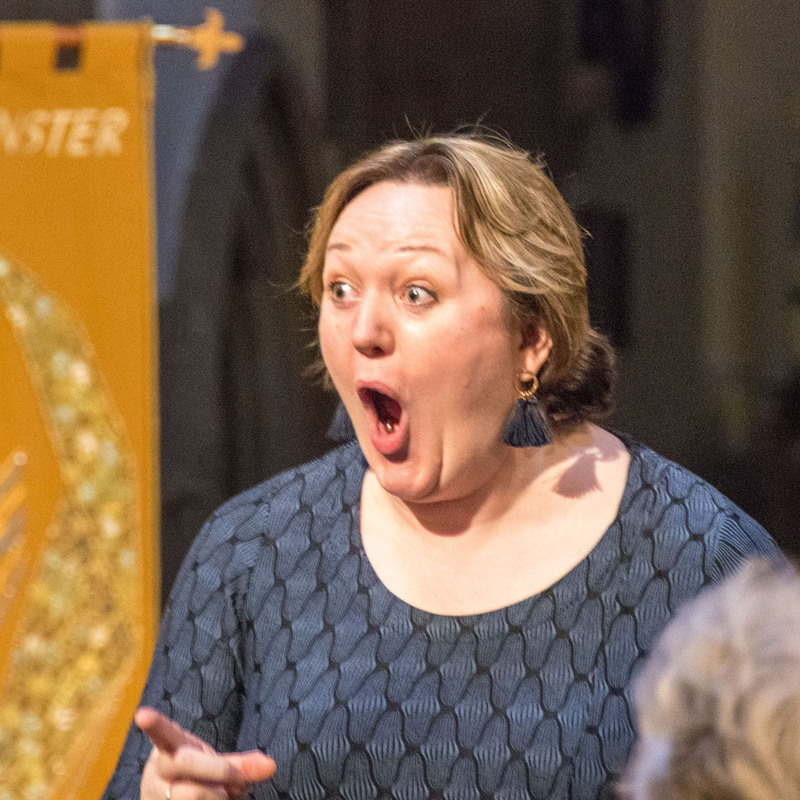 Scores for the new works will be available from 7.00 p.m. and the AGM will be followed by a rehearsal. It has been agreed that verbal reports will only be heard at the meeting from the Chairman, the Treasurer, and the Musical Director. Links to the other usual reports will be published here as soon as they are available so that members can check their contents and raise questions at the AGM if applicable.